Last month we finally got our first look at Intel's latest 14nm technology for desktop computers when we reviewed the Core i7-5775C, codenamed Broadwell. Intel's transition to the 14nm node was difficult and as a result Broadwell processors were delayed to the point where they practically don't exist in the retail market. Even as I write this it's extremely difficult to purchase the Core i7-5775C, which is all the more surprising given what I am writing about: today marks the real arrival of Intel's 14nm desktop processors and they aren't codenamed Broadwell, but rather Skylake. Whereas Broadwell was a 'tick' in Intel's "tick-tock" manufacturing and design model, offering a die shrink along a few minor tweaks, Skylake is a 'tock' which means the redesign should provide greater CPU and GPU performance with reduced power consumption, while remaining on the same 14nm manufacturing process as Broadwell. Notably, the usual "tick-tock" cycle will be broken in 2016 with a third 14nm part known as Kaby Lake. Intel says its transition to 10nm chips will now come later than expected, pushed back to the second half of 2017 when a new architecture codenamed Cannonlake will arrive. As we understand it, this is a hard launch and Skylake processors should be available immediately, at least the chips being announced anyway. However, rumor has it that supplies will only last for a few days, running dry before the end of launch week. Again, the lack of supply likely comes down to issues with the 14nm process and it isn't uncommon new CPUs and GPUs to be plagued by such problems. A number of significant changes will be introduced with Skylake, chief among them being the introduction of the new LGA1151 socket, which isn't backward compatible with anything previously available, as I'm sure you've already guessed. So unlike Broadwell, those with a 9-series motherboard won't simply be able to upgrade to Skylake, instead requiring a new motherboard that supports an Intel 100 Series chipset, also known as Sunrise Point. The memory controller found on the Skylake processors has been upgraded to support DDR4 memory, much like Haswell-E, though support will be limited to dual-channel operation rather than quad. Unlike Haswell-E, it appears Skylake processors support DDR3 memory as well, so it will be up to the motherboard manufacturers to decide which memory standard they are going to use and we'll likely see a multitude of DDR3 and DDR4 boards. It'll be interesting to see if there are any boards that support both DDR3 and DDR4 DIMMs, like what we saw back in the Core 2 days with boards offering both DDR2 and DDR3. Although there will no doubt be a full range of Skylake processors spanning multiple series, just like what we have with Haswell, for now Intel is announcing just two chips. Designed for enthusiasts, the first wave includes the Core i7-6700K and Core i5-6600K desktop processors. Intel claims that these parts will deliver up to 10% better performance over their Haswell counterparts. In fact, Intel says that the Core i7-6700K will be up to 10% faster than the 4790K and 20% faster than the 4770K, while 3770K owners can expect up to a 30% boost in performance. The Core i7-6700K that we have on hand today operates at a base clock of 4.0GHz, which is the same base clock frequency of the 4790K. However the maximum Turbo frequency has been capped at 4.2GHz, whereas the 4790K can clock a single core as high as 4.4GHz. As you would expect, the 6700K is a quad-core processor that supports Hyper-Threading technology, affording it eight threads. Like the Haswell processors, Skylake models also receive the L3 Intel Smart Cache. This allows faster data access by enabling dynamic and efficient allocation of the cache to match the needs of each core, significantly reducing latency to frequently used data and improving performance. Like the 4790K, the 6700K receives an 8MB L3 cache, while the Core i5-6600K makes do with a slightly smaller 6MB cache, much as the Core i5-4690K does. Skylake still features 16 PCI Express 3.0 lanes which means a single GPU can connect to the CPU in a 1x16 configuration, while two-way Crossfire or SLI will use the 2x8 configuration. As mentioned earlier, memory support is limited to dual-channel operation, which has been the case for years now when looking at Intel's mainstream platforms. That said, while the Core i7-6700K and Core i5-6600K can take advantage of DDR3L-1600 memory, it can also support DDR4-2133 and this is likely going to be the preferred option. Although Broadwell processors such as the Core i7-5775C might not have been a big deal in the grand scheme of things, its integrated Iris Pro Graphics 6200 was. The massive 128MB L4 cache (eDRAM) was a serious talking point as it blessed the 5775C with the world's fastest integrated graphics solution. 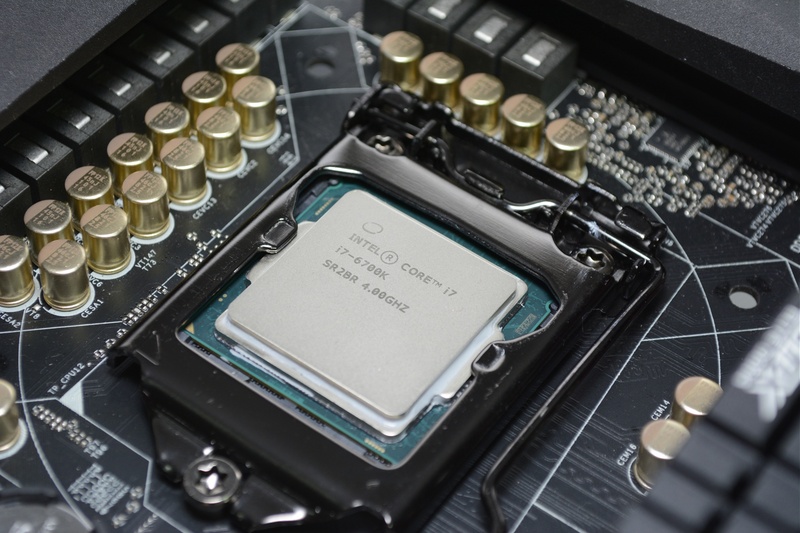 The 6700K's solution doesn't appear to be nearly as elaborate, but to be honest we know little about its technical specifications as no one at Intel or the PR firm we deal with could answer any of our questions. The PR marketing material simply makes mention of an Intel HD Graphics 530 solution that supports DX12, Ultra HD 4K resolution and operates at up to 1150MHz. It's said to be 40% faster than the HD Graphics 4000 of the Core i7-3770K, which is a bit random. Intel didn't provide us with a die-shot of the 6700K, but as far as we can tell the L4 cache isn't featured on this model. GPUz reports that the HD Graphics 530 features 24 EUs, 16 TMUs and 8 ROPs. This is the same configuration as the Iris Pro 6200 found on the 5775C, but without the L4 cache there simply isn't enough bandwidth available. Moving on, these processors have been rated for a rather high TDP of 91 watts, which is slightly higher than the 88 watts of their Haswell equivalents and this is likely due to the inclusion of a considerably more powerful GPU. Intel says the recommended retail price for the 6700K is $350, while the 6600K will be considerably more affordable at $243. In comparison the 4790K currently sells for $340 and the 4690K for $240, so it looks like Skylake processors will come in at similar price points to their Haswell predecessors. 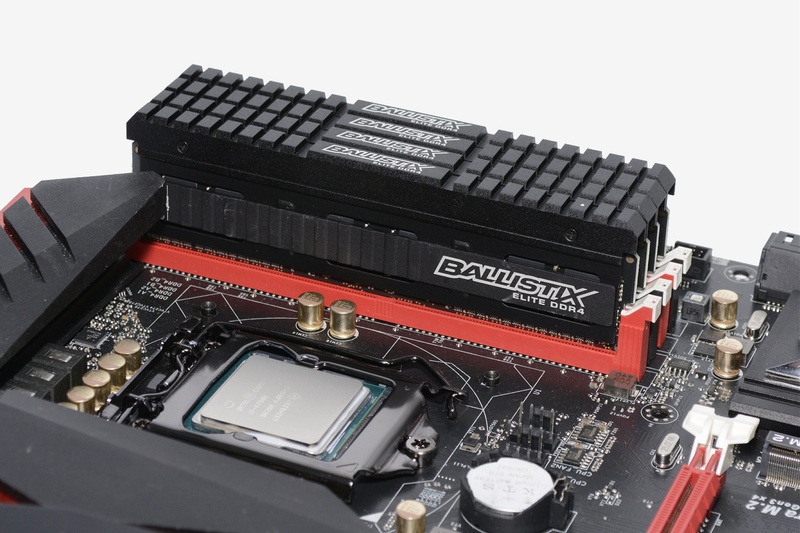 Both support the LGA1151 socket which requires a brand new motherboard and chipset. Speaking of which, let's take a look at the Intel Z170 chipset on the new Asrock Z170 Gaming K6 motherboard.